Police Minister Bheki Cele warned those officers who stayed away from work that they would be called on to explain. Minister of Police Bheki Cele has vowed to check why scores of police officers did not report for duty yesterday amid rumours that the police, who are essential services civil servants, were going on strike. He said at least 400 officers in the Western Cape and up to 120 in KwaZulu-Natal did not report for duty yesterday. “I am told that they have sick notes. If doctors do things that are untoward we are not scared to deal with them,” he said. The minister called on those who did not go to work for any other reason to return as the SA Police Service (SAPS) management was working on finding a solution to their concerns. Cele met with more than 1,200 station commanders in an effort to find a solution to end the impasse in Centurion yesterday. He said it emerged during the meeting with station commanders that members were not happy about the level of promotions. Police officers were unhappy about backlogs in promotions after the minister last year reportedly pledged to address the backlog of over 69,000 promotions, which had been reduced to 45,000. He said it was agreed to review the promotion process to accommodate the worst affected, engage the officers involved within a week and get expert advice on how to go about the process of tackling the backlog. Cele said the experts should have completed their report within three months, but warned those officers who stayed away from work that they would be called on to explain. 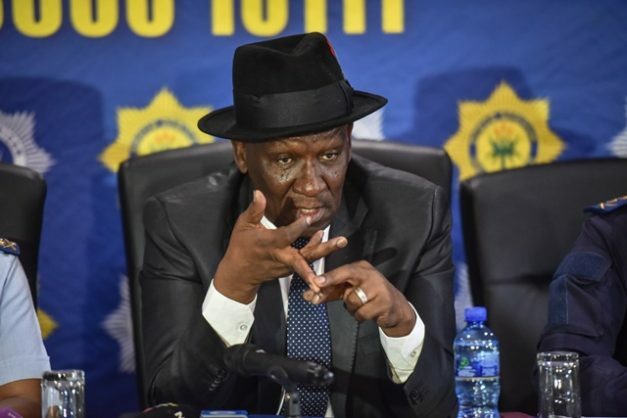 Regarding political killings in KwaZulu-Natal, Cele said considerable progress had been made as was evidenced by the arrest of a mayor, whom he did not name, in connection with the murder of former ANC Youth League secretary Sindiso Magaqa. Harry Gwala municipality mayor, Mluleki Ndobe has been picked up on suspicion of involvement in the killing of Magaqa, who was gunned down in September 2017 near Kokstad while he was sitting in his Mercedes-Benz after a party meeting. Cele said more than 150 people have been arrested in connection with political killings in the province. He added that a cold case unit had been formed to tackle unsolved cases extending beyond political killings.